I call to the Great Goddess Sedna. I honour She Who Is the giver and taker. And at the end to whom they return. And the Truth of our own making. So that we may learn the lessons of this Great Earth and Her Waters. With hair that is long and combed in beauty. She Who Is constantly ebbing in the flow. Both scary and pleasurable are your Rituals. I admire your flow, and drink deeply of the lessons given. In this cauldron of transformation that is the flood plains of this Land. Be heard for the Lessons You teach. Ohoi Nateya, So it is. Sedna is an Arctic / Inuit Goddess / Power Spirit - the mother of all Sea Creatures and so has dominion over the Seas. 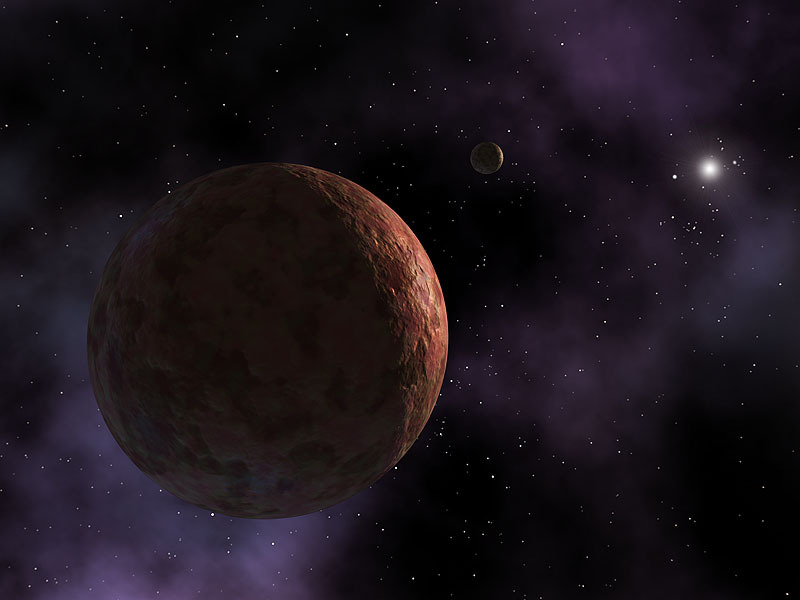 Find a great story of Sedna here. Although I honour the Indigenous Peoples of the Australian land, and Know that they have many stories that explain the movements of Water in this country, I have chosen to call to Sedna, not simply because She is the Goddess of the Inuit Waters, but also the namesake of a 'new' planet discovered in 2003. Sedna the planetoid is one of the planets that have been discovered and included as a group of the 'Great Year Planets'. Sedna the planet represents a new category of planets, and so it represents a whole new way of understanding our Universe. The scientists really didn't know it all, and still don't. Sedna is the harbinger of the New Earth - the evolution of humanity. See Richard Brown's article at Karmic Astrology for a full understanding of this statement. Although I am not an astrologer, I feel that the discovery of the planet Sedna is an important part of the process of the Earth's transition into the new Dreaming Tracks amongst the Stars **. This is the pathway that Planet Earth is moving into (read either as a physical representation or simply metaphorical in a spiritual sense). Sedna teaches humanity about the lessons of the Victim and the Victimiser, mortality and immortality (this in terms of seeing the world as material/mortal or accepting the Real World as immortal) and forces the care of Mother Earth - in the sense that if we don't look after Her, She will brutally take all that She has given us back to Her everlasting womb. And so I believe, that although we may sit in deep compassion as witness to the devastation of homes and life that is occurring in the north of Australia right now, when we choose to look at the Earth through eyes that are in the Real World, we will See that it is yet another choice our Great Mother is making as a Lesson Path for humanity. If we see this moment in time as a Lesson (not a warning or threat) in the immortality of the Real World, that possessions are simply material matter, that loved ones are the most important thing in life, and that all life regenerates in the realm of the immortal, we will Be capable of Being in the Lesson of this time much easier. Put quite simply, Love brings us together. The compassion and empathy that is Being witnessed throughout Australia in the form of volunteer help, people offering their homes to strangers for refuge, and money donated to aid repair and living expense is what we as a Nation will celebrate as time passes. I only hope, that the in-betweens after this 'dis-aster' and before the next will we be able to say the same. Because, until we do, our Great Mother will have to continue the lesson. ** See Minimia's book Under the Quandong Tree for more information about Planet Earth's movement on the Dreaming Tracks and how this correlates with predictions for 2012. Hollie B. is a Witch, and Indigo Adult, a Mother, Wife and Ceremony Woman. She is the director of the Lunation Lessonary and the Lunation Online Store, as well as a writer and social-spiritual commentator. She speaks her own Truth in the hope that You will take from it what is True for You only, and leave the rest behind. Hollie B. believes that the more that we Two-Legged Peoples DO re-member honouring of the Real World and its Peoples, the more bless-ed we BE.